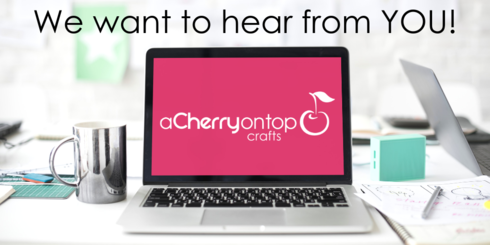 We want to hear from our Cherries! ---> Click here for the survey! Survey says . . . ACOT ROCKS! Done!! I sure appreciate the Community and the way you support it. The Challenges and Award points ,plus shopping with a large selection, Make the Total Scrapbooking package here ! Love it ! Thank you for all keeping up the good work Kristen Started!! Done! And easy peasy! You guys are the best! That was so easy, lol. Done! I hope I did it right. I completed it on my iPad without my glasses! Love ACOT!